It’s on the grounds of the Ancient Arts Center near Alsea, just a long leap over a couple of ridges, into the next drainage south of us (the Alsea River). 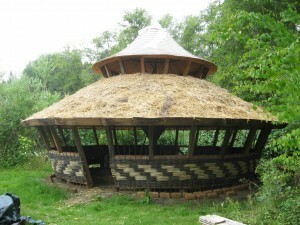 We finished the woven willow and mud walls in May of ’09. If you want to come help, we’ll be having more workshops (see http://www.ancientartscenter.com for more info). It took ten days with a crew of about 17 to get it framed. Nearly all the cross cuts we did with hand saws (most were compound angles). The first time I met Bill, he was putting a new post under his own yurt, in Maine. I got to help, and while we cut various things, he said he was still learning how to use a saw, after nearly 70 years! With his help, I learned how to make a straight cut through a 4×4 (finally!) I had always assumed that with two lines, one vertical and the other horizontal, I ought to be get a straight cut. When I didn’t, I assumed the fault was due to my lack of skill or some technical magic. Well, technical magic it was: you need a third line! Every cut since has been (almost) perfectly straight. Slow motion gets you there faster. Amazing, now, to notice how few people use all the teeth in the blade when they cut with a handsaw. If you only use the middle third of the blade, you can push and pull very fast, and feel like a machine, and make big mistakes quick. When you use all the teeth, you go slow, so the blade stays securely in the cut. Meanwhile, the saw rakes the wood with two or three times as many teeth, cuts much faster, and you can put your attention where it belongs, on the line you’re cutting to. Perhaps the most beautiful part of the building is the interior surface of the upper roof, which consists of two layers of 3/8″ fir boards. We carefully tied the first layer of sticks into the requisite curve, making a series of lovely bows, which we secured top and middle by tying them to steel rings. We nailed them around the eave. The tension in the boards would have twisted the whole thing, so after we cut the strings, we screwed the second layer down to the first, which fixed it all firm. Each shingle was hand cut to fit. That was a lovely day’s work for a team of about 4, with Bill leading from top center. After the top was done, the rest happened pretty quick. One of Bill’s gifts is to organize a large crew so that everyone always has something good to do, and so that all the pieces are cut to size and ready to go when needed; similar, I imagine, to the leader’s role in an old-fashioned Amish barn-raising. He also knows the design inside-out, and dreams in numbers. Even when there were surprises, he spotted and fixed them quickly. He didn’t relax until we were done. Postscripts were my highlights: me, Hannah, two boys, and Bill, sitting around our table and shelling corn into a big bowl. Also a long car ride, with Bill talking about Emily Dickinson and other authors who have kept him company over the years. And finally, the ride to the airport, and Bill’s complex thinking about little things, details which escape our notice — unless they’re absent — and then we lose the whole kingdom for want of a nail, or a shoe, or a spoon. If more of us spent more time and attention on making good nails and shoes and spoons, we’d have less want, less violence, less war. Easy to say; hard to play. Beautiful workmanship. Is it possible to receive plans? I would love to build one on my property. Thank you for sharing your experience. We are a family of eight, and the cost of living is increasing everyday. My husband and I are now exploring some options of living off the land( growing our own food, building our own earth friendly dwelling, and passing it on to our children). The Family Yurt Plan seems to fit our living space need, according to the square footage. Thank you for informing the western world of indigenous alternatives forms of shelters. 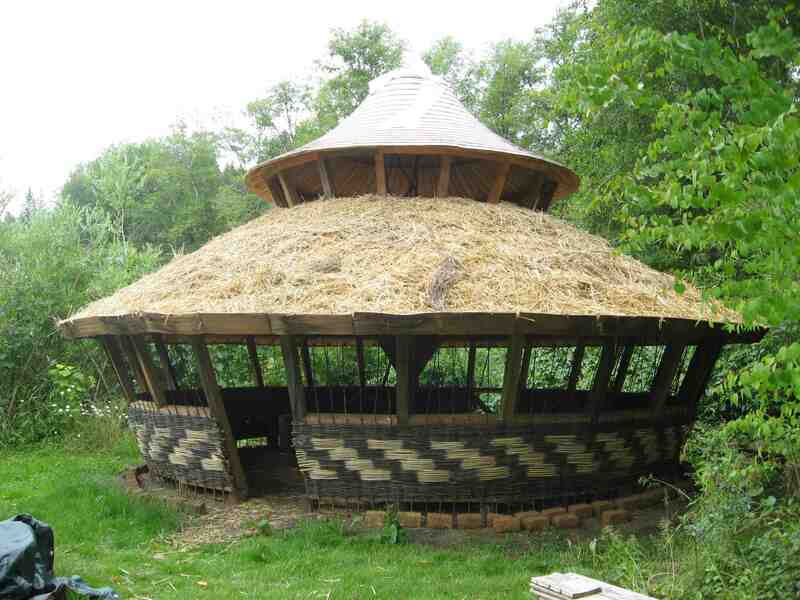 Beautiful Yurt. Did you use roof rafters/ ring beams in order to get that lovely flowing roof line? 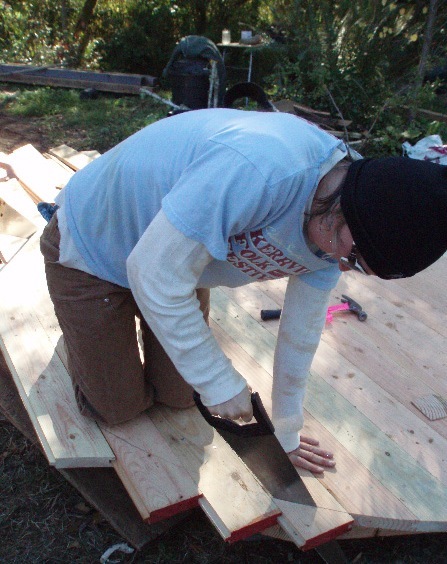 Interested in constructing a Yurt in Cumberland, Maine! Would love any and all info! 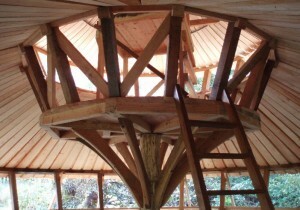 A six day yurt building workshop with Bill Coperthwaite at Medicine Circle , a nature awareness center nestled in the mountains of north Idaho. 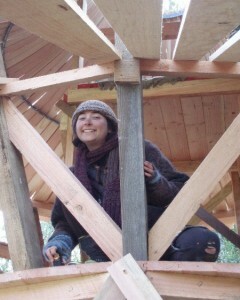 The workshop will build a tapered wall yurt to be used as a gathering space for future workshops.